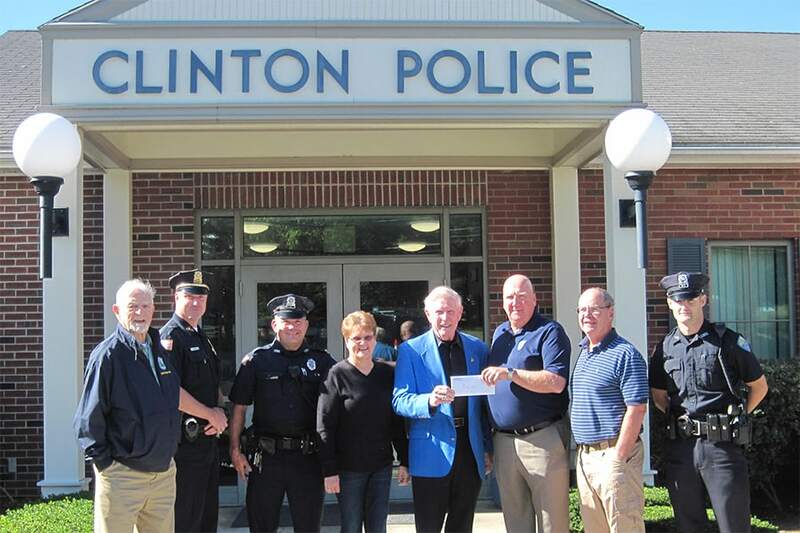 On 10-12-17 Cops For Kids With Cancer went to the Clinton Police Department where Det. Jeff Frisch and members of the department ran a Golf Tournament and raised $10,000.00 for Cops For Kids With Cancer. In photo, left to right, John McManus, CFKWC board member, Lieut. Brian Coyne, Officer Ed Jefferey, Cathy Baird, Bob Faherty, retired chairman CFKWC, Det. Jeff Frisch, Chief Mark Laverdore, and officer Kyle Grady.